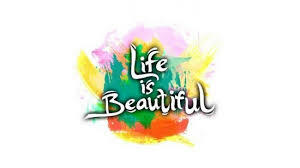 " A Beautiful life begins with a beautiful mind." Life is like a rose ,its not just bed of roses, thorns are also a part of it. Those who think the good times last forever easily succumb to pressure during difficulties. They donot put in required hard work because they break down easily. There is no human being on earth , strong ,powerful ,wise or rich who has not experienced ,struggle ,suffering or failure .A person who has not encountered difficulties in life can never achieve success .Difficulties test the courage , patience , perseverance and the real character of human being. Life might be a very difficult at time , all you need to do is live positively .Life can take turn any time .One must be always prepared for it . Most of the people always complain about life .However life is just opposite to it. There are so many thing that can make our life more beautiful and wonderful. Being happy is simple .At times we ourselves complicate thing .Everyone has problems, but there are people who accept the problems and face it with a smile. Our life style and our habits too has a strong impact.There are some fantastic habits of happy people that all can cultivate in them self . They are very simple and by following it u can see visible changes in your nature and lifestyle. -Start a day with positive thought , they can either can make u or break u . -Wake up early and always do meditation, yoga and have fresh air. -Always appreciate your life . -Always have an vision . -Accept others as they are. -Always have positive thinking . -Stop arguing and quarreling . -Always choose your friends carefully . -Make a list and follow . -Continuous learning and remaining update and informed always. -Always keep your promises . -Always be caring and supportive . -Be creative as it changes your mood swings. -Always give priority to your self. -Always be emotionally and physically balance. -There should always be a balance between work and family. -Enjoy your life to fullest. Throughout the life we keep asking for something from god but we forget that he has already given us the best thing at our birth , "A BEAUTIFUL LIFE".